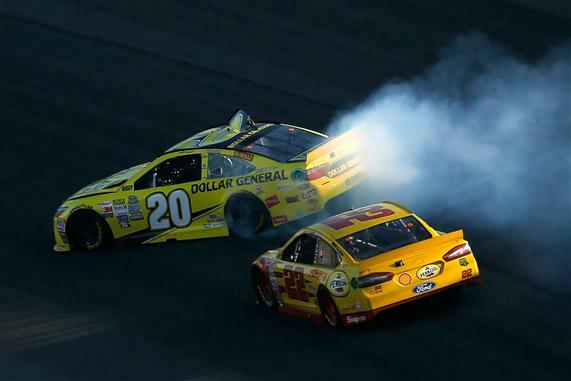 Sunday’s Hollywood Casino 400 at Kansas Speedway ended in volatile, controversial fashion, with leaders Matt Kenseth and Joey Logano clashing with just a handful of laps remaining. Logano bought a piece of the frontstretch wall with assistance from Kenseth with just a handful of laps remaining, before turning the former series champion around in the first turn. Logano then survived a green/white/checkered flag restart to claim the checkered flag, while Kenseth saw his title hopes severely damaged with a 14th-place finish. “It was really cut and dry,” said an angry but composed Kenseth afterward. “He picked my rear tires off the ground and wrecked me, so there’s no debate about that one. Logano saw it differently, saying that Kenseth repeatedly blocked him in the late laps, before eventually squeezing him into the outside wall on the frontstretch. While many observers insist on placing all the blame on one party or another, Sunday’s fireworks were a simple case of two drivers racing aggressively and giving no quarter with an important race on the line. Logano wanted to win, while Kenseth needed to win, in order to salvage his fading championship hopes. Two tough customers laid it all on the line in the final laps, knowing that one of them might not make it to the checkered flag. That’s what stock car racing is all about; two drivers racing their guts out in pursuit of the checkered flag, with no excuses and no apologies. Kenseth did what he had to do to maintain the lead Sunday, and Logano did what he had to do in response. He admitted however, that he was not about to be roughed-up by the Joe Gibbs Racing driver, without responding in kind. “I’m really disappointed,” said Kenseth afterward. “Yeah, I was running the lane he wanted to run. But isn’t that racing? He’ll probably sleep good tonight. I hope he enjoys that one. It’s not what I would have done, but he had a decision to make and that’s the one he made. “I’ve probably been one of his biggest supporters. 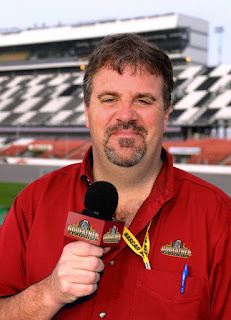 It was an awkward thing, obviously, taking his ride (at Joe Gibbs Racing) and I was excited for him when he started winning at Penske. Strategically, that didn't seem like such a great decision for him. But it's the one he made and that's how he wanted to win. I'm one of the only guys that hasn't been into it yet with Joey, and I've always raced him with a ton of respect. Logano heads to Talladega Superspeedway this weekend without a care in the world; the only driver with a guaranteed ticket to the Eliminator Round of the Chase. Kenseth, meanwhile, staggers into the Alabama speedplant knowing that nothing short of a victory will keep his faltering championship hopes alive. No one was blameless in this one . Matt really needed the win and Joey had a chance to win and put his foot on the throat of one of the favorites for the championship. They both did what they thought was necessary . Not a lot to analyze. How often do we get to see racing like that in the closing laps? Sure made for a great finish to a snoozer. Just good hard racing, period. Wow for once I wasn't sorry I read this article. This has happened time in and time out. It is racing. Some whiners feel that Logano should have not raced Matt that hard, well because poor Matt "needed" that win and Logano did not. What??????? Both their jobs are to fight for wins for their owners, teams, sponsors and themselves. Too many of today's 15 minute attention span fans seem to come from the era of everybody gets a participation trophy and a one week I let you win, the next week you let me win mentality. 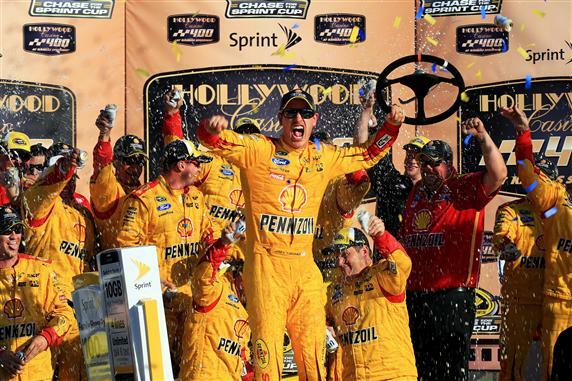 Good for Logano for enjoying his win, and not apologizing for doing what he is paid to do. Matt look in the mirror please. You were embarrassing. Matt "It's not what I would have done". Matt are you losing your memory setting at 43? Maybe you should check with Jeff Gordon and some others. Pffft. Fans have memories Matt, even if you don't. I don't have a problem with putting a bumper to someone. That is Cup racing. But ham-handedly spinning someone out for the win is bush league. If a driver's not good enough to execute a bump, he probably shouldn't try it in the first place. Because he's gonna wreck people. And with 4 to go! Well then by your statements..most Sprint Cup drivers are busch league. Lol. They all have done it! Especially the big, big names and elders that you I assume love. oh vey. I don't like blocking, period. I know it's done all the time, but in my opinion, it's just not right. The leader has the advantage. You want to run the other guy's line to take it away from him? Fine. You want to run the groove that's best for you? That's fine too. Just make up your mind. I would also be ready to accept the consequences of my actions. While the leader has the advantage of trying to take up the entire racing surface, he/she does so at the mercy of the overtaking driver. And when that driver decides it time to assert himself, it ain't gonna be pretty, and the leader ain't gonna like it. Maybe with one lap to go it may work, but with six or seven laps to go, the person knocking on your door, if you don't open it, then he will open it for himself. If dumping the blocker became routine, it might put an end to the blocking, or it might result in more confrontations. Either way, it's a win for NASCAR. Unusually good racing at a generally boring venue. Unusually composed and confident Joey Logano and as usual, an excessively whining Matt Kenseth. Logano, taking lessons from Keslowski. Soon, he'll be as disliked. His turn will come in the final round. Well, I think they asked certain drivers if they would like a popularity trophy or a win trophy, only one Einstein said the popularity trophy. I will let you figure out who that was. Definitely exciting racing for the fans and most likey a product of the new format with round winner immunity. Was it the smartest move by Joey as far as the championship goes? Maybe not as it definitely wasnt big picture racing. As a racing fan though I dont care because these are the moments that stand out and will be highlights for decades.